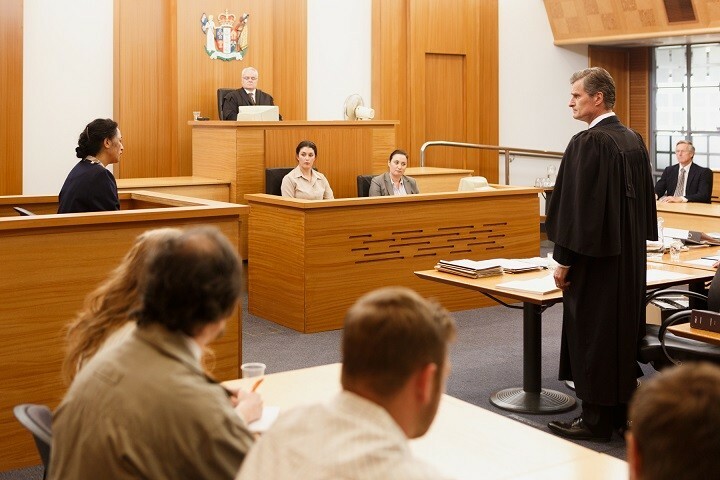 While the old North Shore City Council chambers witnessed their fair share of drama through the years, they will be seen in a whole new light when a hard-hitting Kiwi movie about one of the most controversial criminal cases in recent memory screens on 22 July. In Dark Places, which is part of TVNZ’s Sunday Theatre series, is a dramatised account of the infamous wrongful conviction and eventual release of Teina Pora. The telemovie co-produced by Auckland’s South Pacific Pictures and 10,000 Company was shot during November and December last year. With the help of the Screen Auckland team at Auckland Tourism, Events and Economic Development (ATEED), which facilitates Council permits to film in public places, the six-week shoot took place on location on streets and reserves throughout Auckland’s south and west, in the central city, and several Council buildings. Actual court rooms can be too busy with real cases to close down for screen productions, so the location manager for the production – Sally Sherratt – thought there was a good chance one of the region’s legacy Council chambers around the region could be perfect for turning into a circa 1990s and 2000s court room. Working with Screen Auckland, she reviewed a number of options before settling on a request to film at the old chambers in Takapuna, which are usually busy with various Council and public hearings, and board meetings. Screen Auckland Manager Michael Brook says helping to meet the overall project’s needs showed Council’s support for the region’s thriving $1 billion a year screen production industry which supports about 1700 companies and 6800 jobs. “We had great help from Council’s Corporate Property team to arrange access to the space, and the services the crew needed including access to power supply, lights, and air conditioning. The production team visited the site several times in advance of the filming, to be able to match the witness box and judges’ stand they needed to build to the furniture already in the room. Director Michael Bennett, who wrote the book the movie was based on and was long involved in a movement to free Pora, says the Takapuna chambers were perfect for the show’s needs, with slightly retro wood-lined features that weren’t too dated and that could easily be dressed to represent the two trials Pora had a decade apart. A parole hearing was filmed in another Council building in Papakura, with similar rearrangement of furniture but not as much extra dressing created for that set. The crew also took over a street in Otara for a few days, re-creating Pora’s neighbourhood and home. At the same time as the In Dark Places shoot, Papatoetoe’s old Council chambers was lending its 1960s look to filming of the TV series Westside.